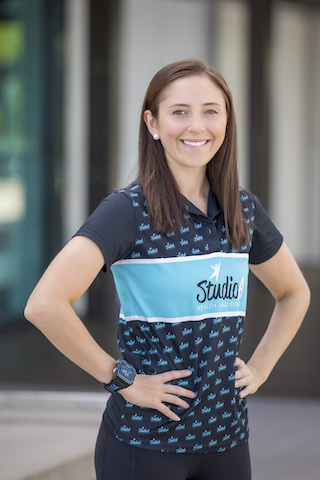 Angela Armstrong is a Cairns local who has a passion for sports and nutrition. Dedicated to fitness, Angela enjoys gym workouts, long distance running, basketball, cycling, bushwalking and dancing (tap and jazz). Angela is passionate about supporting her clients to achieve their health and fitness goals. 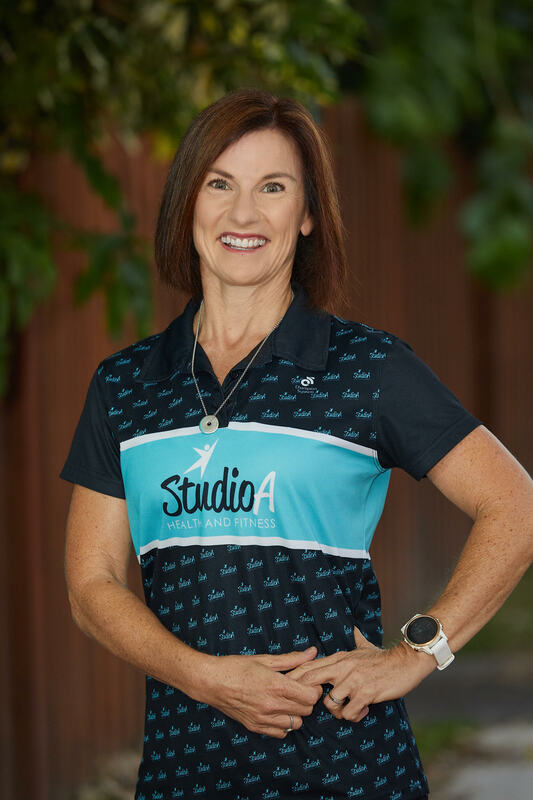 Believing that the attainment of long term health and fitness is very much a personal journey for each of her clients, Angela tailors her approach and programs to ensure client needs are met in a holistic, real world and supportive manner. With a unique combination of qualifications in personal training and nutrition, Angela can provide her clients with comprehensive health and fitness programs which include both the exercise and dietary requirements for goals to be met in a realistic, achievable time frame. To contact Angela and find out more about the Studio A difference, call 07 4032 2090 or email angela@studio-a.com.au. Clint has held a passion for the gym and fitness for many years. However, his focus has changed slightly over the last few years and is now concentrated more on cycling, and even more recently into Ironman 70.3 events. 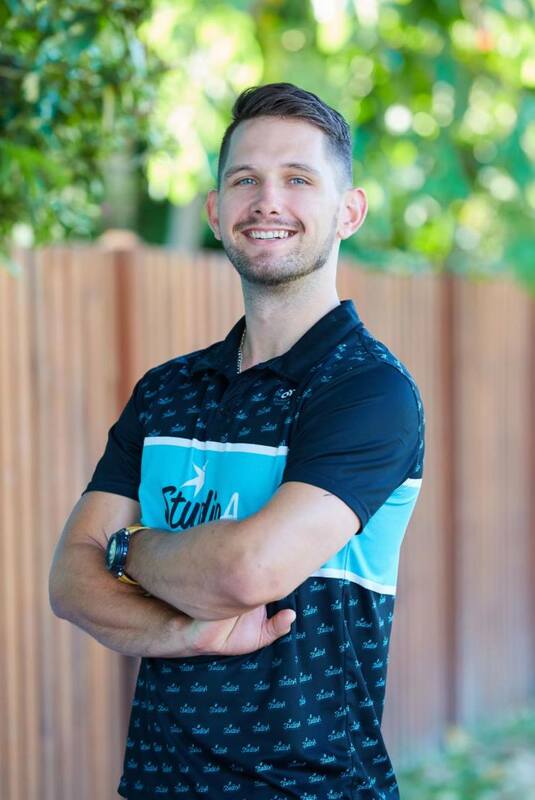 He is very keen to pass on the skills he’s learnt and developed over the years and you’ll often find him challenging his Bootcampers and helping our cyclists in their endeavour to better themselves. Clint enjoys a challenge and is keen to help you reach your fitness goals. To contact Clint and find out more about the Studio A difference, call 07 4032 2090 or email clint@studio-a.com.au. 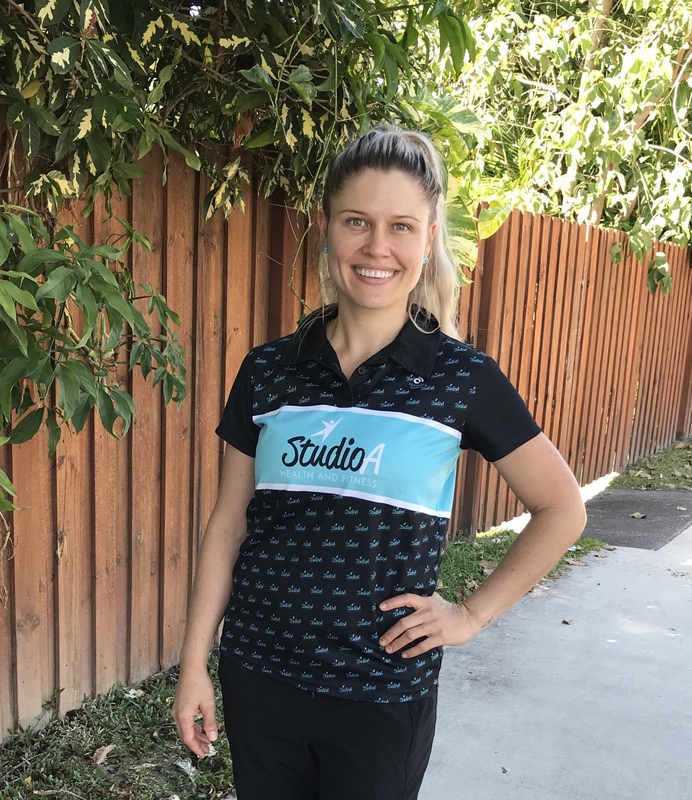 Hi everyone, let me begin by saying I am excited and proud to be a member of the team at Studio A and to be a part of the Sport and Exercise industry. 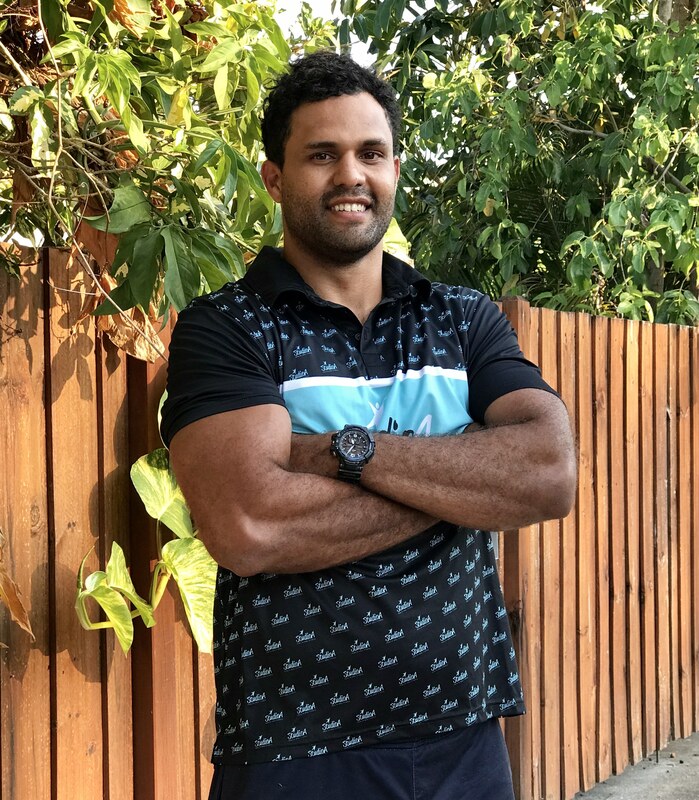 I am currently finishing my Bachelor of Sport and Exercise Science at JCU in Cairns and prior to undertaking this I had a strong passion for achieving my personal goals for wellbeing, aesthetic purposes and physical performance to suit my active lifestyle. In my time outside of Studio A and Uni, I enjoy motocross and enduro dirt bike riding, boxing, spending time in the gym and I’m also a rifleman in the Army Reserve. I believe in a functional approach to fitness myself, involving strength as well as cardiovascular and endurance fitness to form a solid foundation to then taper toward my specific task. I am always learning further and researching the area of health and fitness and if you ever have a certain question or query that I don’t have an answer for, I am always happy to research and find a solution to help meet whatever goals you want to achieve. I look forward to working with you and using my experience to help you enjoy and progress in your fitness journey. 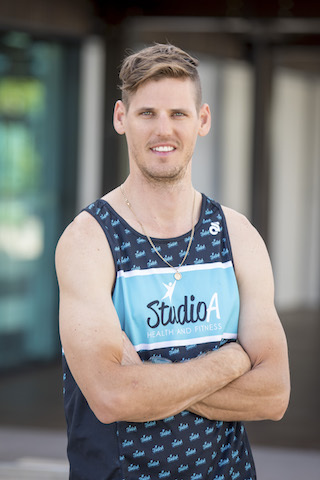 To contact Jimmy and find out more about the Studio A difference, call 07 4032 2090 or email jimmy@studio-a.com.au. 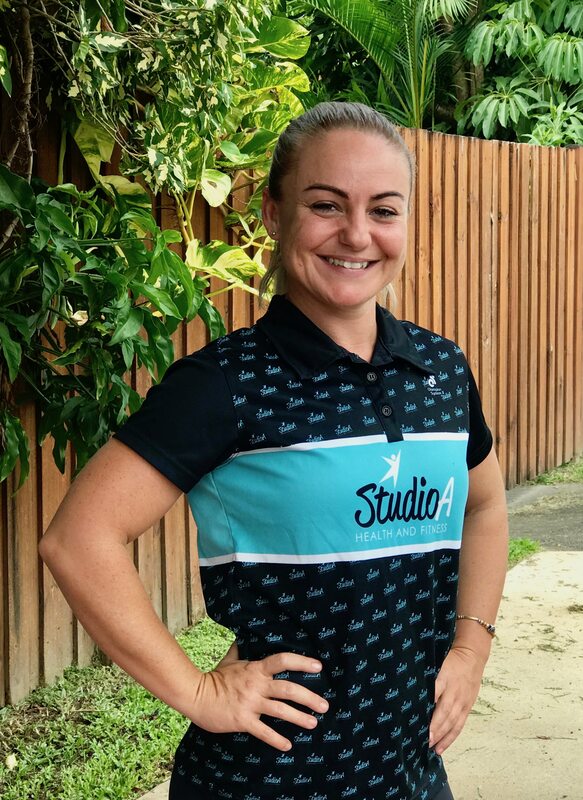 I completed my formal fitness qualifications with Human Performance Centre on the Gold Coast in January 2018, and it is very exciting to be able to now train and continue to motivate Studio A clients in an area that I am so very passionate about. I have always led an active healthy lifestyle with a focus on general overall fitness. With my recent move to beautiful Cairns, this now gives me the opportunity to spend more time to also explore my hobbies. I enjoy scuba diving, distant and trail running, cycling and also the need to feed my competitive side competing in triathlons and 1/2 Marathons. I have always found running to be a way of relaxing and getting in touch with yourself. I also am involved with BJP Physical Culture, which I have been an instructor and competed personally at National level where I achieved National Champion, with last year winning state level, in the Over 50’s section. I believe age is irrelevant to living a healthy and active lifestyle and feel fitness training should be fun but challenging, I very much look forward to working with you to help you achieve and maintain your fitness goals with the idea of always continuing to challenge yourself. To contact Sharon and find out more about the Studio A difference, call 07 4032 2090 or email sharon@studio-a.com.au. I’m Briony and I’m here to help move and motivate you towards your goals. Whether it be mastering one full push up or running 500m without stopping, I’ll be your cheerleader all the way. I’m often described as a torpedo of energy and hopefully that adds a little dynamite to your workouts. I love being active, whether that’s a family walk or bike ride, my weekly game of netball or running the bootcamp equipment to and from the car. Throw it at me and I’ll give it a go. I hope to pass that love and enthusiasm onto you, our Studio A clients. As a busy mother of 3 young children I understand the daily struggle to fit everything in. That’s why I will encourage you all the way to keep moving, keep active and aim to provide you with the best possible workout in whatever time has been allocated. I have completed my Certificate III and IV in Fitness, have completed my Level 1 and Advanced Thump Boxing certification, and am a certified Level 1 TRX Suspension Instructor. To contact Briony and find out more about the Studio A difference, call 07 4032 2090 or email briony@studio-a.com.au. 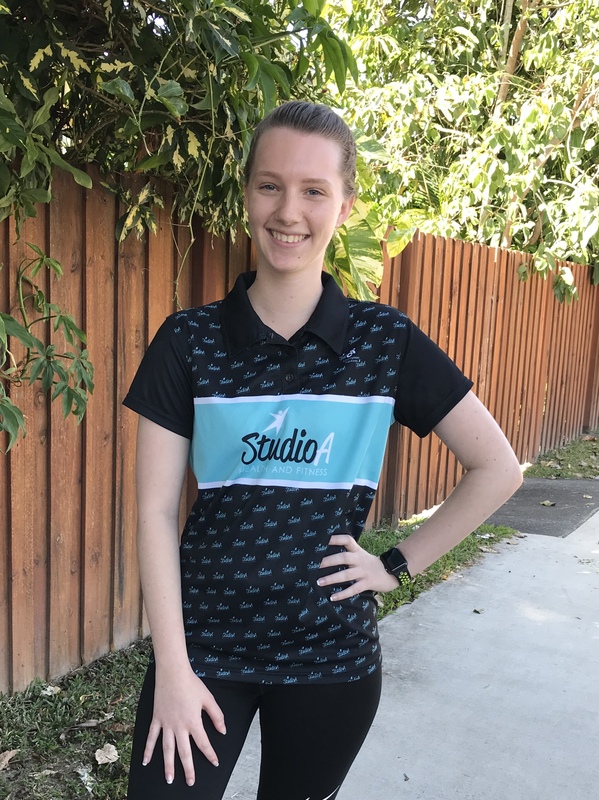 With her recently found passion for health and fitness, Allanah is currently studying her Certificate III in Fitness and will go on to do her Certificate IV in Fitness. She dedicates a lot of her time to the local AFL, where she found her love for sports. Outside of sports and fitness, she enjoys music, reading and the beach. She also hopes to study nutrition as well. Allanah has a passion for fitness and being outdoors. She believes that by working out outside, you not only strengthen your body physically, you also strengthen your mind. If you incorporate a healthy balanced diet to that, then you will be buzzing. She is looking forward to combining everything she knows to help clients achieve their goals and reach their full potential. Joey has moved back to Cairns to make a career in Health and Fitness. A long-time gym user and Rugby Union player, Joey brings experience and a competitive nature to the team to help you reach your goals. He is in the process of completing his Certificate IV in Fitness and will be studying Sport and Exercise Science in 2019. If he’s not playing Rugby, his free time is usually spent exploring with his pup or out camping and fishing. Joey is always willing to help out and offer any advice so hit him up for a chat anytime. To contact Joey and find out more about the Studio A difference, call 07 4032 2090 or email joey@studio-a.com.au. Hi, my name is Hailey and I am a dedicated and proud mum of 2 beautiful children, a certified Personal Trainer specialising in weight management, program design, mobility/flexibility, resistance and functional training styles. I decided to invest in my Personal Training certificates III and IV after being on my own fitness journey for the past 20 years ranging from Yoga, dancing, swimming, cross country, and more recently, power lifting and body sculpting. I have a huge passion for helping clients reach their health and fitness goals whether big or small. I am constantly striving to further my knowledge to offer the best service for our clients. To contact Hailey and find out more about the Studio A difference, call 07 4032 2090 or email hailey@studio-a.com.au. Suz comes from an Administrative/Customer Service background and over the years has developed a range of high-level skills which have enabled her to provide professional service to clients and customers, and help achieve seamless running of the Administration side of a business. Suz’s strengths include her high-level organisational skills and attention to detail along with her ability to relate well to people with her approachable, friendly and enthusiastic nature. Suz has always been passionate about keeping fit and leading a healthy lifestyle, and training most days is just part of her normal routine. 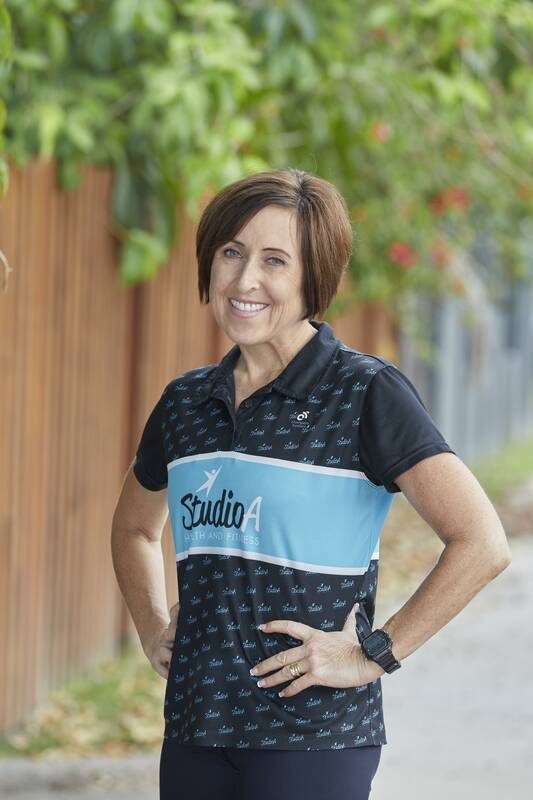 Having played competitive netball and soccer (at State level) for many years when younger, these days Suz’s fitness interests include swimming, riding and long distance running (I think they call that a Triathlon if put all together), Pilates and group training with Studio A.
Suz is thrilled to be a part of the Studio A team and is dedicated to assisting Angela and the rest of the team in providing the best possible service to all our clients. To contact Suz and find out more about the Studio A difference, call 07 4032 2090 or email hello@studio-a.com.au. 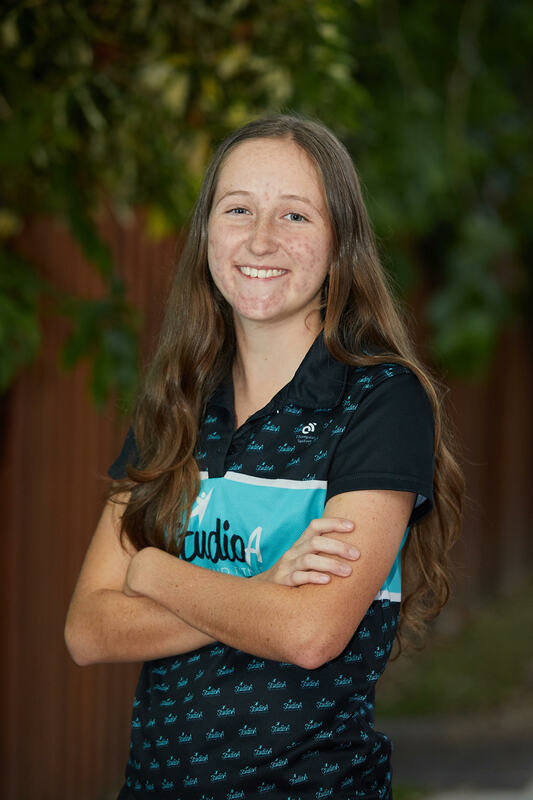 I am a Junior Admin at Studio A and am dedicated in assisting every client to the best of my ability to ensure they receive a pleasant and consistent service every time. I am currently completing grade 10 and studying Sport Science and Psychology with the hopes of becoming a Physiotherapist and Personal Trainer when I graduate. I have always had a passion for all things sport and I love being outdoors. In my own time I enjoy playing soccer, futsal, and running cross country and track events competitively. I look forward to seeing you at the Studio and assisting you in any way I can. To contact Erin and find out more about the Studio A difference, call 07 4032 2090 or email erin@studio-a.com.au.